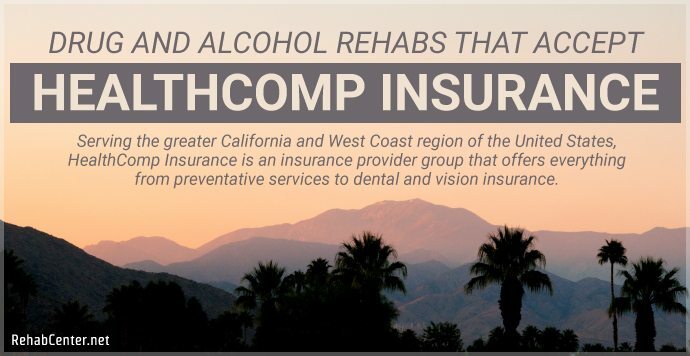 Serving the greater California and West Coast region of the United States, HealthComp Insurance is an insurance provider group that offers everything from preventative services to dental and vision insurance. HealthComp keeps all operations in-house, making for better customer service and fluid transitions from one service to another. Will HealthComp Insurance Cover Drug Rehab? HealthComp partners with many major provider networks in the area, including Cigna, Blue Shield CA, Anthem, National BlueCard, and other regional PPO networks. HealthComp also enables its members to customize their plans to fit their needs. Depending on which plan you have, certain types or levels of drug rehab may be covered by your HealthComp insurance. It may surprise some people, but rehab facilities can vary dramatically when it comes to their level of luxury (or lack thereof). Some rehab centers offer only the basics, a residential area with rooms, certified and qualified clinicians and therapists, and a safe and welcoming environment in which to heal. Others, like those shown on ‘Celebrity Rehab’, offer top shelf everything from luxury single rooms to grand staircases, and everything in between. 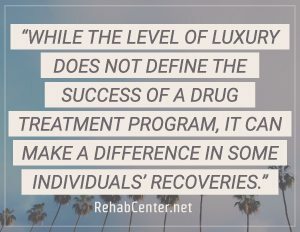 While the level of luxury does not define the success of a drug treatment program, it can make a difference in some individuals’ recoveries. Different amenities, such as a pool, large nature preserves for hiking, lakes for fishing, etc, can contribute significantly to the success of some clients’ rehabilitation. Some clients may desire a single versus a shared room because it better fits their personality. Others may prefer a lot of open nature to provide a distraction from daily cravings. Whatever your needs are, always be honest with yourself when choosing a rehab facility that is right for you. The right drug treatment program could be the difference between recovery and relapse. When genders are separated, some individuals feel more at ease with less distraction than in a traditional co-ed setting. This type of environment can facilitate better healing and easier focus for these types of individuals, which is why they tend to choose specialized programs such as these. There are halfway houses, or sober houses, that are dedicated to one gender as well, which can make the transition back to living in the real world a little easier on some. Drug abuse among some populations, such as bisexual or transgender, can be significantly higher than the majority of the population. One of the reasons for this is the trauma and abuse that can sometimes come along with being a member of one of these populations. There are specialty programs out there that are dedicated to the care of the LGBTQ community, especially when it comes to drug abuse. These programs offer specialized support and care based on the hardships, like bullying and sexism, that has played a role in their addiction. Many members of the LGBTQ community who suffer from addiction feel safe and at peace in facilities such as these, which strive to provide a non-judgemental and supportive environment for the population. Some clients may prefer an environment in which their peers understand what they are going through. Addiction specific programs specialize in one type of addiction, rather than focusing on all types of addiction. Opioid addiction, for example, has its own type of withdrawal symptoms, cravings, side effects, and treatment types that are specific to opioids. Individuals suffering from opioid addiction may be drawn to a program like this because the treatment will be tailored to the needs of each client, and you have the opportunity to be surrounded by people who know what you are going through on a daily basis. For some individuals suffering from addiction, faith and religion can play a major role in their recovery. There are many faith-based addiction rehab programs out there today. Some are sponsored by churches or religious groups specifically, and some are neutral facilities that encourage a sense of spirituality and faith. Programs with an affiliation to a specific church or religious group will likely incorporate that specific religion into the treatment program. Neutral facilities that promote a sense of spirituality in their programs generally offer tools to facilitate faith and and spirituality without restricting the experience to a specific religion. In recent years, holistic programs have become more and more popular. 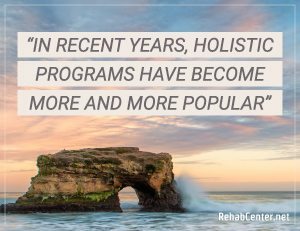 Especially in the wake of the prescription opioid epidemic, more clients than ever are seeking an all-natural, holistic program to focus on their recovery. For some, they see their addiction as something unnatural that was harmful to their bodies, and seeking a natural opposite to their addiction makes sense to their recovery. Holistic programs use approaches like music and art therapy, dialectical behavior therapy (DBT), aromatherapy, and massage to heal both the body and soul. Understanding your specific insurance plans’ coverage when it comes to drug rehab is an essential first step when it comes to choosing a rehab program that is right for you. Be sure to contact your insurance representative to learn details like if a physician referral is necessary, or if you are limited to a certain network of rehab facilities. Once you have that information, we can help you make a decision on a program that will fit your needs. Our addiction treatment specialists are specially trained to work with individuals suffering from addiction, or individuals concerned about a loved one who is, and providing guidance on the next steps to take. Your call is always 100% confidential, and our specialists are available to talk day or night. Addiction can be scary, but you do not have to go through it alone. Contact us today.